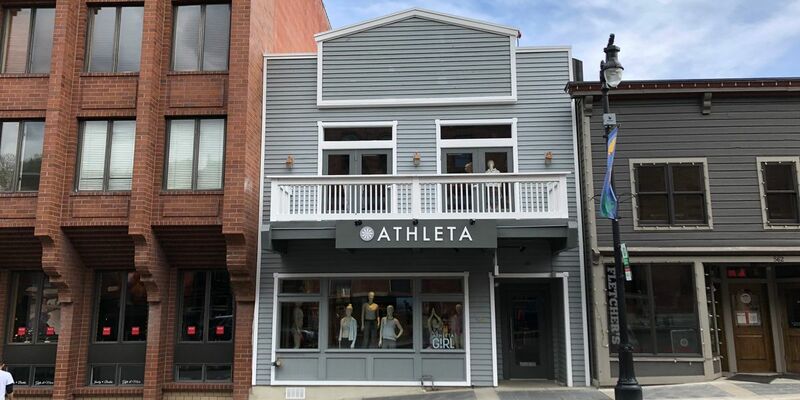 How Athleta is Offsetting Power Consumption Across All Its Operations | Gap Inc.
Athleta is driving the renewable energy revolution through collaboration: a new investment model for virtual power purchase agreements (VPPAs) that will accelerate impact across industries. Chris Samway, SVP & CFO at Athleta, shares his perspective, and the impact this change will have. Now more than ever, leading companies need to step forward to tackle the climate challenge. As a certified B Corp, Athleta is committed to doing our part and constantly exploring new ways we can make a positive impact. That’s why I’m proud to share our latest step forward in this journey: we’re investing in an innovative renewable energy partnership that will fully offset the power consumption of all Athleta operations – including our 160+ stores across the United States and our HQ. The project is scheduled to begin operation starting in 2020, bringing new renewable energy to the grid and helping accelerate the transition to a cleaner economy. What’s even more promising is how this is all coming together. Because when it comes to sustainability, we believe in the power of collaboration over competition. Today, our parent company Gap Inc. joined with four other global companies to announce the completion of an innovative power purchase agreement in which the buyers group -- collectively known as the Corporate Renewable Energy Aggregation Group -- will serve as the anchor tenant for a large offsite solar project; Gap Inc.’s share of the project will be dedicated to offsetting the energy consumption of Athleta’s stores and operations nationwide. Importantly, through this partnership, we’ve created a new, cost-effective and replicable model that will open up the renewable energy market to companies seeking to purchase smaller volumes of power; until now, the market has been dominated by extremely large transactions that essentially shut out these types of buyers. The Corporate Renewable Energy Aggregation Group is also committed to sharing best practices and lessons learned with other companies interested in leveraging this risk-mitigation purchasing model. We believe that through this type of innovation and collaboration across industries, businesses of any size can do more to create a healthier future for our people and our planet. Doing our part to reduce our energy footprint is just one of the ways that Athleta is meeting our commitment as a B Corp certified company. Our certification is accelerating our course forward as a purpose-driven brand, honoring our mission to ignite a community of healthy, confident, active women and girls; and cementing our commitment to environmental sustainability. For example, we’ve set an aggressive goal to use sustainable fibers – including recycled polyester, recycled nylon, Lenzing Tencel & Modal, and organic cotton – in 80% of our product materials by 2020. And we’re more than halfway there! With Recycled Polyester alone, we’ve diverted the equivalent of more than 38 million plastic bottles from landfills since 2015. Last year, Athleta also became a member of the Fashion Positive PLUS initiative – to collaborate with industry leaders on innovative and sustainable solutions for the circular fashion economy. The renewable energy project will also contribute to Gap Inc.’s commitment to reduce absolute greenhouse gas emissions by 50 percent across all owned and operated facilities globally by the end of 2020. Gap Inc. is leveraging the lessons learned from this project as it explores large-scale renewable energy solutions that will work best at the enterprise level and help achieve its ambitious climate goal. Last December, Gap Inc. joined with other leading fashion brands to deepen its climate commitment by signing onto the new UN Fashion Climate Charter. In 2017, Gap Inc. signed on to the Science Based Targets initiative (SBTi) to align its climate goals with the scientific consensus and core commitment of the Paris Agreement to limit global warming to less than 2 degrees Celsius. When it comes to climate change, we each have a role to play. We at Athleta invite other like-minded businesses to join us in this all-important initiative. Together, we can make a real impact and help the world avoid the most dangerous impacts of climate change.